This entry was posted in Grand Prix on September 21, 2018 by wvchess. Sam Timmons and Lewis Sanders are the 2018 WV State Champions. Each finished with 3.5/5. Pratik Shriwas of Ohio won the tournament with a perfect 5-0 score. This entry was posted in Results on September 10, 2018 by wvchess. The minutes from the 2018 WVCA Business Meeting can be found here: 2018 WVCA Business Meeting Minutes. The most notable topic was the removal of the Bulletin Editor and At-Large Member from the Board of Directors. The WVCA Bulletin is not what it was in the days before the Internet, and we have had a hard time getting content and a willing editor. Considering that the information was available on the website, the time to retire the WVCA Bulletin has come. 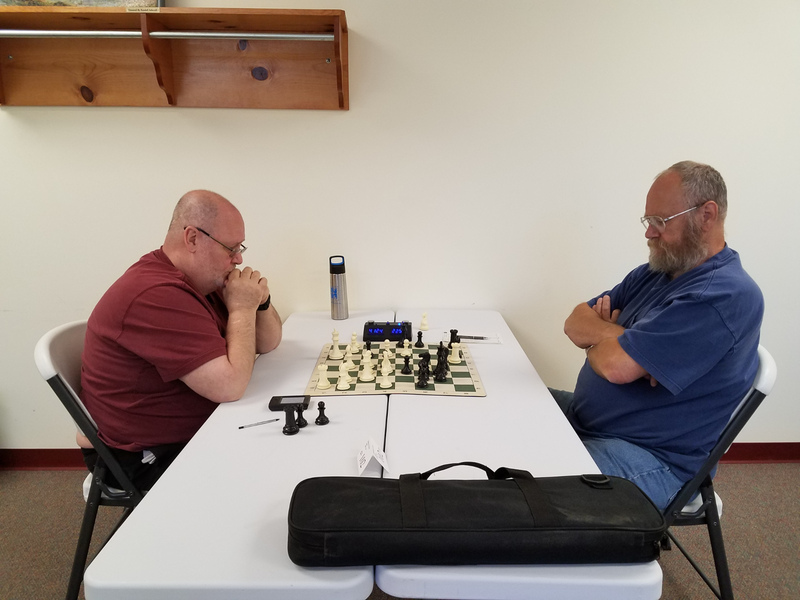 Other points of interest are that $1000 from the Ripley Chess Club will be added to the 2018-2019 Grand Prix, and John Roush and Bob Greer have been made Honorary Life Members of the WVCA for their support in directing tournaments over the years. This entry was posted in Constitution, News, Officers on September 9, 2018 by wvchess. 23 players competed in the 25th Annual Parkersburg Homecoming tournament, played at the Blennerhasset Hotel. Tom Magar of PA and Bob Canary tied for 1st with 3.5/4. Our state champions, John Roush and Sam Timmons were just behind them at 3/4. The U1600 winners were David Hundley and Richard Hayes (2.5/4). U1300 were Mike Price and Craig Timmons (2/4). We also had the return of several players who have not played for some time, including Konnie Dolgovskij, David Comer, and Reggie Best. This entry was posted in Results on August 19, 2018 by wvchess. 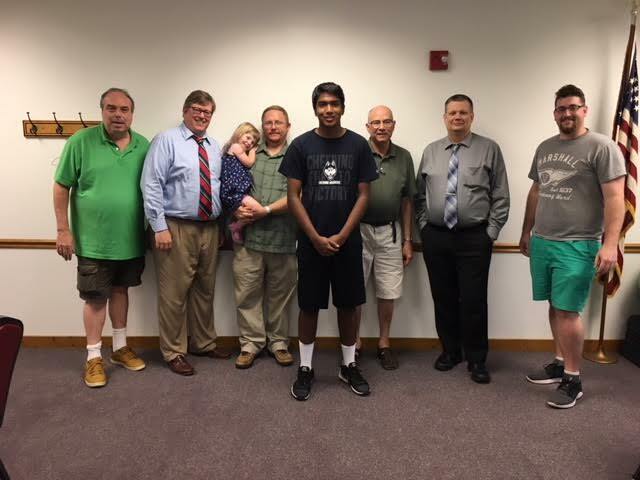 There were eleven participants in the Beckley Summer Open at the Erma Byrd Center. There was a four-way tie for first with a score of 3-1 between Robert Canary, Sam Timmons, Joe Craddock, and David Dawson. USCF Crosstable. This entry was posted in Results on July 30, 2018 by wvchess. 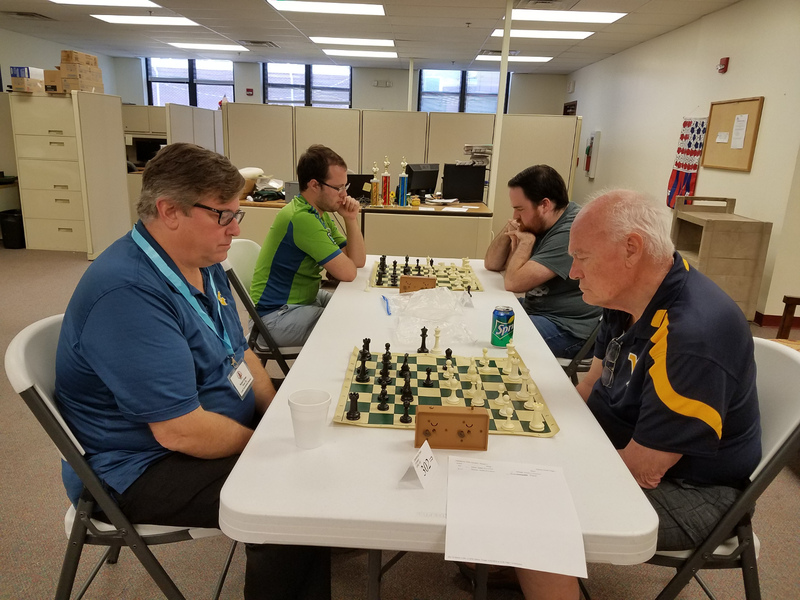 The Clarksburg Open was held July 7, 2018 at the Harrison County Senior Citizens Center. 12 players competed in the Open section and six in the Unrated section. The Open was won by Ed Garner with a score of 3.5/4. This entry was posted in Results on July 10, 2018 by wvchess.